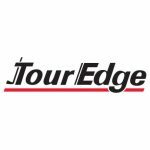 Two Tour Edge Exotics staff players who played Exotics clubs all year long finished out the 2018 PGA Tour Champions season with 2nd and 3rd place finishes at the season-ending Charles Schwab Cup Championship. Tim Petrovic and Scott McCarron finished 2nd and 3rd, respectively, at Phoenix Country Club to round out the third and final Playoff event of the Charles Schwab Cup Playoff series. The runner-up finish was the 10th for a player using Exotics clubs in 2018. With 16 total wins and runner-up placements in 2018, Exotics clubs finished 1st or 2nd in 59% of the Champions events played this season. Petrovic finished alone in 2nd place at 18 under-par after rounds of 63-67-66-70. Petrovic had a career year in 2018 while playing up to four Exotics metalwoods in the majority of the events he played in. He finished the year ranked 9th on the final Charles Schwab money list with $1.43 million in earnings. Petrovic earned his fifth runner-up finish of the season this week playing Tour Edge clubs. Three of his 2nd place finishes came at 72-hole events (2nd/KitchenAid Senior PGA Championship, T2/U.S. Senior Open). McCarron finished 2nd in the final Charles Schwab Cup points and money standings while playing both 17 and 19 degree Exotics CBX hybrids with a Fujikura Atmos shaft this year. McCarron is an Exotics hybrid staffer and a two-time winner with Exotics in 2018. It was McCarron’s third-straight Top 5 Charles Schwab Cup finish (3rd/2017, 4th /2016). Exotics staff players Duffy Waldorf and Tom Lehman also finished in the Top 25 of the Championship event, giving Tour Edge their 100th Top 25 finish on the PGA Tours for the 2018 season. It was Waldorf’s 15th Top 25 of the year while playing Exotics and Lehman’s 12th Top 25 finish of the year. Lehman finished 19th and Waldorf 24th in the final Charles Schwab Cup standings. Tour Edge had eight players with Exotics in play this week, equivalent to 23% of the field, at the final event that features the Top 35 ranked players on the PGA TOUR Champions. This led Tour Edge to rank as the #1 most played hybrid model at the Championship with their Exotics CBX hybrid accounting for 16% of the hybrids in play, according to the Darrell Survey. In all, over 50 players have put over 300 Exotics clubs into play since Exotics was launched to the tour in the last year. This includes the new Exotics EXS Driver and hybrids and the award-winning Exotics CBX fairway woods, hybrids and iron-woods. On top of the six victories and 10 runner-up finishes, players using Tour Edge clubs have earned 34 Top 5 finishes and 60 Top 10 finishes in the 27 events played this season on the PGA Tour Champions. Eight out of the Top 25 players (32%) and 16 out of the Top 50 players (32%) in the final Charles Schwab Cup standings put Exotics into play in 2018.